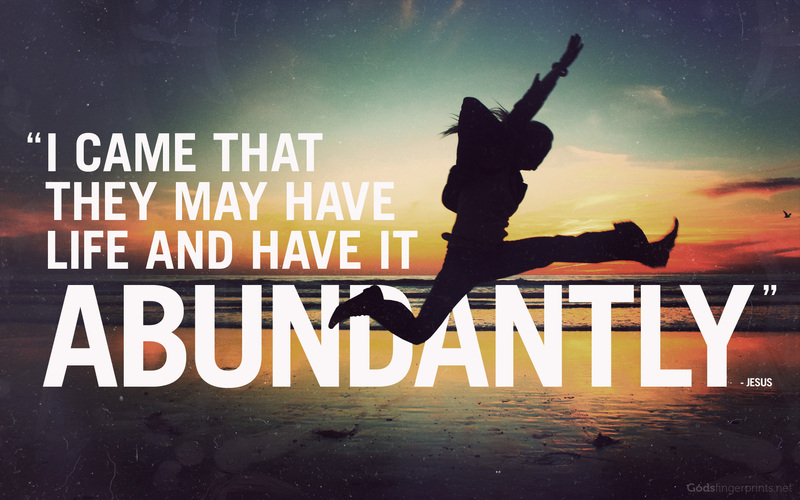 Abundant life is what I have for you, says the LORD. I Am El Shaddai, the GOD of more than enough. I do not want you to just make it but I want you to have abundance. I do not want to just supply all your need, but I want to give you the desire of your heart! I want you to feel the rain of My presence and glory, not just a few sprinkles. I want to fill you to capacity and overflowing with My Spirit so that there is an overflow that will impact the lives of all you come in contact with. My abundant life for you is beyond provision and beyond a promise. It is possession of what I have declared belongs to you as My entitled child. I have given you My best gifts and blessings that await you at the table I have spread for you in My presence. Will you come and glut on all that is there, I ask? For it is in My presence that you will find ME and all that I have reserved for you, says the LORD. I Am not calling you to My table to eat the scraps that fall to the ground or to have the left overs from others. Your seat is reserved and the New wine has been poured. Everything that you need is there. Come hungry. Come desperate. Come empty, and be filled. For I will not set any limits for you. There is a boundless supply with no boundaries, says the LORD. Become fat and full of My blessings that make you rich, for I add no sorrow to them, and you will be abundantly blessed to become a conduit of blessings for many others, says the LORD.